The NMReady™ line of 60 MHz benchtop NMR spectrometers are a truly innovative platform. Designed with usability in mind, the instruments were engineered in an unparalleled compact package with unequaled connectivity. 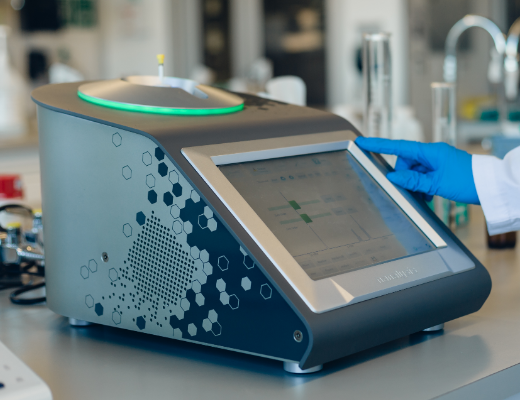 As the smallest magnet in it's class, an NMReady can be used wherever you need it, whether that is in a benchtop or fumehood, OR in a glovebox. The magnet, electronics and computer are all housed in the all-in-one compact footprint weighing in at only 55 lbs (25kg) leaving it easy to site and easy to move. 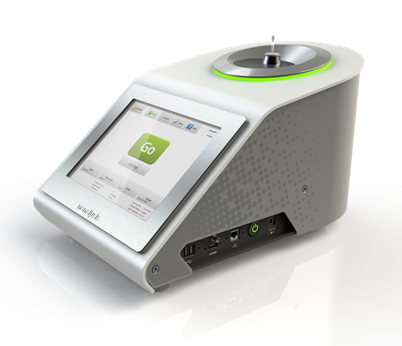 The spectrometers can be controlled using easy on-board software, advanced experimental designer packages or through from an external computer via our Application Programmatic Interface. The Nu-Worx team built a cutting edge reporting, administrative and analytic tool that was easily added to the NMReady™ line of 60 MHz benchtop NMR spectrometers. This web-based solution allowed each spectrometer to host its own web-server enabling communication, feature administration, synchronization and collaboration between instruments. The need for such improved data tracking and security allows the Nanalysis team to leader its industry in connectivity, reporting and analysis. In addition, the upgraded infrastructure allows the Nanalysis team to add/administer new features and reporting to the system easily in a fraction of the time needed in the past. In addition to improving reporting, a big advantage to us is the “off-instrument” administration capabilities. Administration of new features can now be rapidly supported through this new architecture.